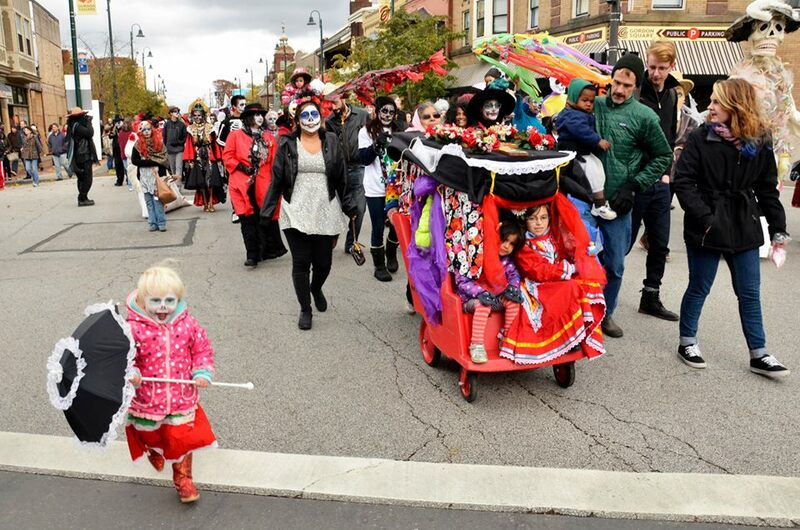 Honor your loved ones past by participating in Dia de Muertos Ohio’s 14th Annual day long celebration, which is free, family-friendly, and fun for all! Attention: Due to the increased popularity of our Procession of Skeletons & Skulls Parade, we are requiring mandatory parade registration, so please utilize this Eventbrite page to register or you will not be allowed to join the parade. Day of, please stop by the Parade Registration tent, give your name to the volunteer, and receive your parade pin. Then, join in the fun! Your registration for the Parade includes implicit and tacit acceptance that you indemnify and hold harmless the Event Organizers and their collaborative partners, including Cleveland Public Theatre, Detroit Shoreway Community Development Organization, and the City of Cleveland, from any loss or liability arising from participating under this Agreement. If you do not accept the terms of this Agreement, you may still enjoy the Parade as a spectator. Note: All minors must be accompanied by an adult and student groups must be identified with a registered accompanying adult(s).